It's time to unveil one of my most favorite companies with a great giveaway that I'm confident will persuade you to my way of thinking as well! Actually you may already know that it has been one of my favorite companies for awhile now, if you have been a follower here at A GAL NEEDS... for any length of time! I've worked with them quite a little bit! Affiliate and non-affiliate links are present on this site for information purposes! Product was received for review purposes! Cariloha is an 11-year-old company that is continuing it's rapid growth and success, based on their in-tune connection with their customers' wants and needs. Originally starting out with just a few port-of-call shops for vacationers at luxury resort destinations, they realized that their luxurious-yet-sustainable bamboo product line was appealing to far more than tourists aboard cruise ships. They now have more than 50 store locations in 16 countries and their online presence has grown right along with their stores. Top Award - Just this month, out of hundreds of applicants and 24 finalists, Ernst & Young recently named Cariloha's founder and CEO, Jeff Pederson, as the 'Entrepreneur Of The Year 2018' Award Winner! It just goes to show what an outstanding company this is and the leadership that is behind it, along with all those who have helped to make it happen. 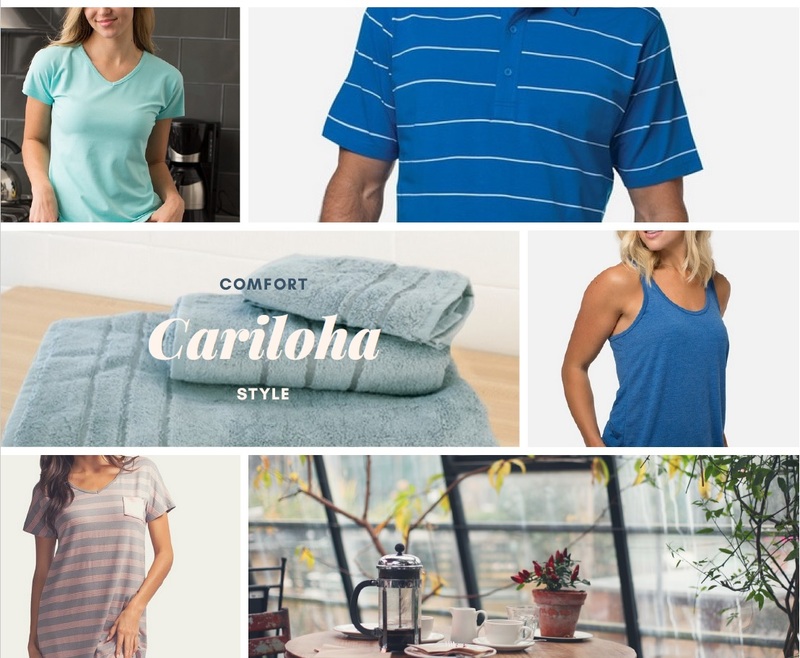 Product Line - Cariloha offers an exclusive collection of bedding, apparel, active wear, bath goods, and accessories all made from soft, cool, comfortable, clean, green bamboo! And whether you're on vacation or at home, bamboo offers the feel of the tropics wherever you are! Special care is taken to drape their customers in breathable and sustainable bamboo fabrics and blends! See my reviews on their Bath Towels, bathrobes, sheets and apparel! I have an exclusive promo code for 20% off any product at Cariloha. Enter GNEEDS5468 at checkout for 20% off anything on their site, including sale items! It comes just in time for summer, when staying cool is key! Valid until July 1st! Please no sharing on 3rd Party Discount Sites! 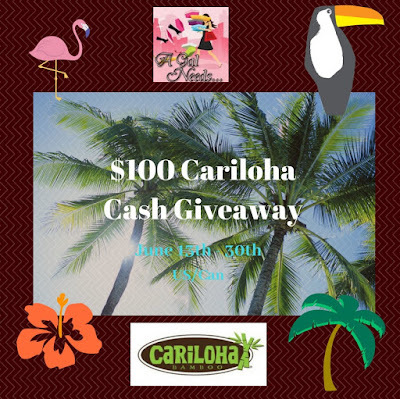 I'm so excited to be able to offer one of my readers a $100 Cariloha Cash Prize! What is Cariloha Cash? With an exclusive gift code, you will be able to choose $100 worth of merchandise from Cariloha's website! Enter in the Rafflecopter below for your chance to win! 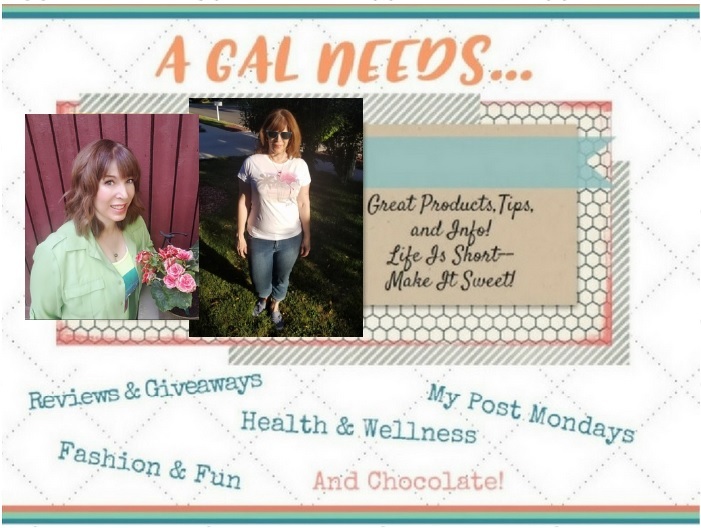 This is an exclusive A GAL NEEDS...giveaway. You won't find it anywhere else! What that means is more chances for you to win! Open to U.S. and Canada, must be 21+, one entrant per household, all entries are validated. And remember, A GAL NEEDS...Cariloha!! Best of luck!! a Rafflecopter giveaway Disclaimer: Open to U.S. and Canada! A GAL NEEDS...received product from this sponsor to facilitate the review of this product. Affiliate links may be present. No Facebook, Twitter, Pinterest, Instagram, nor any other social platforms are involved in any way! This giveaway is open to U.S./Canadian residents only and must have a valid mailing address, no P.O. Box. after 06/30/18. Must respond within 48 hours. After notification, winner will be asked to acknowledge their win by contacting sponsor on Social Media and letting them know of their win. Entrants with invalid entries will be disqualified. 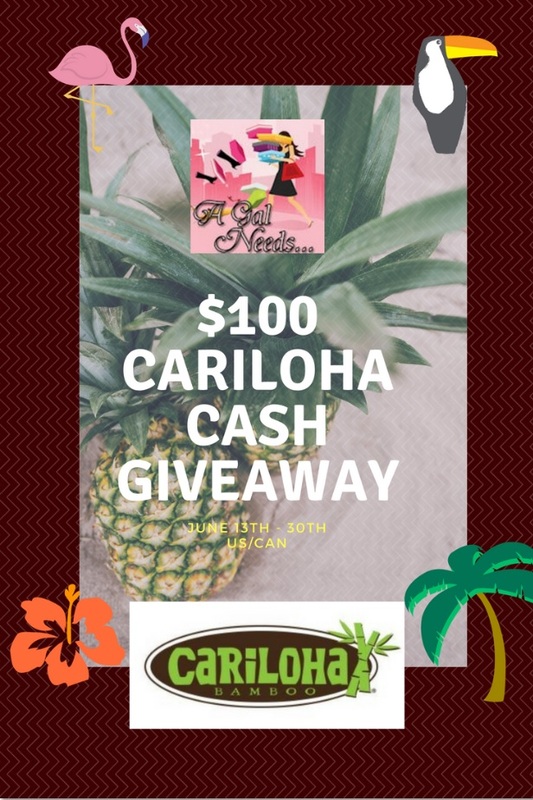 Sponsor, Cariloha, is responsible for delivery of prize.